WASHINGTON — A GOP-controlled Senate panel rebuffed President Donald Trump on Tuesday, killing the nomination of his controversial pick to run the Export-Import Bank. 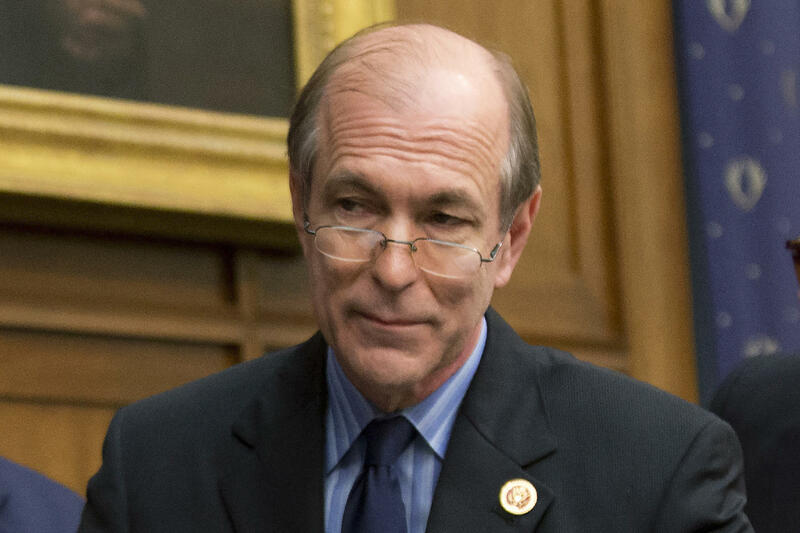 Two Banking Committee Republicans, Sen. Tim Scott of South Carolina and Sen. Mike Rounds of South Dakota, joined with Democrats to shelve the nomination of former GOP Rep. Scott Garrett of New Jersey to head up the bank, which provides loans, credit insurance and loan guarantees to help foreign buyers purchase U.S. exports. It has many GOP critics who say it distorts markets and that too much of its help benefits large corporations like Boeing Co., one of the Charleston region's largest employers. Some U.S. businesses, including airlines, say the bank effectively subsidizes foreign competitors. But the bank has significant bipartisan support in Congress, including backing from the GOP's establishment wing, as well as outside Republican allies such as the U.S. Chamber of Commerce. "We need to both reform the Export-Import Bank and ensure it continues to function as an important tool for American businesses large and small," said Scott, whose state is home to a big Boeing plant that builds 787 Dreamliner jets. "Given Mr. Garrett's long history opposing the Ex-Im Bank, I believe it would be hard for him to accomplish both of those goals." The S.C. Chamber of Commerce applauded his stance and what it called Scott's "leadership" on the issue. "The 17,000 South Carolina workers whose jobs depend on the bank are thankful that Senator Scott cast a vote for them today," chamber CEO Ted Pitts said in a written statement. "The Ex-Im Bank is a valuable tool that should be used to grow American jobs." Boeing South Carolina also thanked Scott in a Twitter post Tuesday, saying he "stood up for S.C. workers and played a critical role in making sure the U.S. Export-Import Bank can get back to work." Garrett voted to shutter the federal lender when serving in Congress and didn't apologize for his opposition when testifying at his confirmation hearing. The bank has been languishing since 2015 without the quorum of board members required to approve larger transactions. "We are disappointed that the Senate Banking Committee missed this opportunity to get the Export-Import Bank fully functioning again. We will continue to work with the committee on a path forward," said Marc Short, the White House's director of legislative affairs. "To put it plainly, we have lost American jobs because of the games that have been played with the Export-Import Bank," said top banking panel Democrat Sherrod Brown of Ohio. "Our manufacturers and their employees don't have a level playing field when competing for overseas business ... American jobs have been lost as deals stall and U.S. manufacturers consider moving their production abroad. The panel approved several other nominees to the Ex-Im board, however.